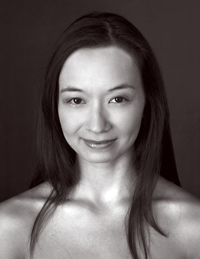 Antoinette Klimek has lived and trained throughout the United States, studying at Ballet Omaha, American Ballet Theatre, Western Arkansas Ballet, Lou Conte Dance Studio, Visceral Dance Chicago, and on scholarship with Dayton Ballet. As a young dancer, she performed with Ballet Omaha II, Western Arkansas Ballet, and appeared in Dayton Ballet′s Nutcracker and Romeo and Juliet. Antoinette moved to Chicago after receiving an academic scholarship to study at the University of Chicago. There, she joined University Ballet of Chicago as a performer, teacher, and choreographer, assisting in the production of ten performances over six seasons, including three full-length ballets. Finding a love of teaching through this experience, she joined the staff of Chicago’s ARCC Ballet and Dance, where she had an active role in program development through her work as an instructor, choreographer, production co-manager, and dance librarian. In addition to teaching, Antoinette is an active freelance professional performer. She has danced with Geiger Dance Project, Elements Contemporary Ballet, Jaxon Movement Arts, and as a guest artist with Ballet North and Midwest Ballet Theatre. In 2012 she co-founded Untapped, a group of rotating freelance professionals who create repertoire for Chicagoland events and festivals. She has a great love of the classics, and her favorite featured roles include the title role of Giselle, Aurora in Sleeping Beauty, and Dulcinea and Mercedes in Don Quixote.